Meta: Domain name is one of the most vital factors in deciding your business’s success, but making the perfect domain search might be difficult. When deciding on a domain name for your website, it’s vital to carefully consider every possibility in order to pick out the best one that can stick with your business throughout the years and appeal to your customers. Coming up with a name is not an easy task and may prove to be the most challenging factor of starting an online business. With the help of several tools and computers, it might take you up to weeks or even months to settle for the perfect domain search that meets the registration and business requirements. This article will show you top domain search tools and tips for finding great domain names. Domain registration can cost you from around $9 to $25 and there are also many options to choose from. Chances are web hosting companies such as Bluehost, SiteGround and iPage are able to offer you free domain registrations and web hosting when you’re starting a blog or website. Now that you’ve known more about how you can name your website, it’s time to choose the tools that can aid you in looking for and registering the best domain name. By searching and tracking throughout over 1000 Top level and generic domains, Domainr lets you explore every possible domain names. Eventually, you’ll be able to find the best domain name with no difficulties. Any keyword you type in the Lean Domain Search’s search bar will generate random unique domain names with suffixes and prefixes. This site allows you to check the availability of certain domains, sort filter search results and mark your favorite potential domain names, so it’s easier for you to keep track of them. BustAName uses its word combining system to help you find the most suitable and available domain name. Type in words that best describe your website and the word combiner will show you available domains and where you can buy them. Furthermore, you can keep track of the domains you like by favoriting it. Impossibility! makes finding unique and available domain names possible. With six domain lookup servers spread across different data centers, Impossibility! allows you to quickly find unregistered domain names with just a word and lets you choose the number of letters for prefixes or suffixes. NameBoy can help you find domain names with hyphens that can rhyme, making it sound catchy. All you have to do is type in a keyword or two in its generator and you’ll be led to a list of potential domains of which you’re able to buy on demand. This tool actually gives out great domain name ideas despite its business-like name. You can get hundreds of suggestions by typing a word that best describes your website. Although Shopify encourages you to create a Shopify store using the domain name they recommended, you can still go to other websites to buy that domain. So as to avoid confusion for customers, websites should have names that are different from other sites but still a competitive brand. It’s best to think of words that best describe your website and combine them until you get a satisfactory and suitable name. A good example for this would be LinkedIn, Facebook, YouTube, etc. Avoid using generic or weird names with numbers or hyphens that may be hard to remember or misleading for users. Instead of naming it “watch-and-upload-videos.com”, “Youtube.com” is so much easier to recognize the purpose of the website and it is at the same time unique and fun. You can also depend on online tools such as NameStation or LeanDomainSearch to generate available domains based on words you provide. The shorter the domain name, the easier it will be for users to memorize. An impactful name will linger in people’s minds longer, which means benefits from a marketability perspective. According to “datagenetics.com” the average characters in a domain name is 12 characters, so it’s safe to assume that domain names with less than 12 characters are better in general. Any domain longer than 12 characters would be hard to remember and can also be very boring. Moreover, it’s recommended that you don’t use any numbers, weird characters, languages or abbreviations in your domain name. This factor also makes it easier for users to remember and not get confused. If your URL has a “-“ in it, then it won’t be easy for you to spell it out to other people so they might even be directed to other websites. 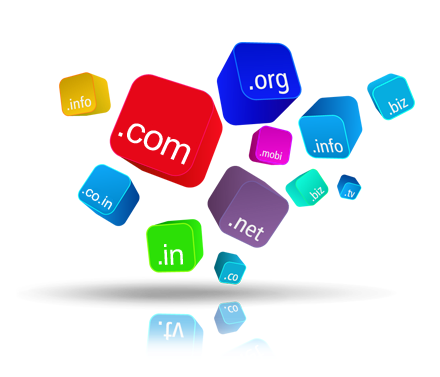 Therefore, make sure that your domain name is easy to type and say by using catchy names. Don’t use names that stray too far away from the content. Ideally, a good domain name will reflect the site’s purpose and make people think “This website probably provides …/ This website will let me…”. For example, if you plan to make a website about time traveling research, it can be “timeleap.com” to let users know briefly about what your website might contain. Keep in mind that keywords are important so you should use broad keywords that can describe the website and make room for future growth. In case the domain name based on your brand isn’t available, it’s tolerable to add or remove a few characters. Tumblr.com is a good example of this. Whether you have a good naming sense, it never hurts to ask someone’s opinions. After confirming that the domain name is available, you also have to worry about what people might think about your website. It’s safe to ask those who are close to you or hire a professional consultant to give you feedback and suggestions. You should also learn about your competitors so you can have an idea about popular domain names. Different legitimate businesses have their own trademarks and it can be quite troublesome if your domain name matches with their trademarks. Think up of your own brand without coinciding with other brands or else, you might become a target for trademark infringement. Domain name is one of the most vital factors in deciding your business’s success since it directly represents your brand and what you’re doing. Finding the perfect domain name might be difficult nowadays since domain names have been existing for over 10-15 years; therefore, not only do you need to rely on different tools and experts, you also need to think out of the box and be creative. Make sure that you can commit to the domain name you have chosen so as to avoid any tangible or intangible costs and build up your own brand reputation.